The success of Gramor Development as a commercial real estate developer can be attributed to one thing: A highly experienced team of professionals. Collectively, the company’s staff has more than 200 years’ combined knowledge in local development in Portland, OR and Vancouver, WA. To date, the staff of the company has completed more than 65 commercial real estate developments that reflect Gramor’s high standards and attention to detail. Barry Cain owns and directs Gramor Development, Inc., a commercial retail real estate company specializing in the development of retail shopping centers and restaurants. Since 1985, Gramor consistently has been one of the most active commercial developers in the metropolitan Portland area, having completed more than 65 retail and mixed-use projects valued in excess of $1.0 billion. Recently completed developments include Happy Valley Crossroads anchored by Fred Meyer in Happy Valley, OR, Kruse Village in Lake Oswego, OR, Timberland Town Center anchored by Market of Choice in Portland, OR, Wilsonville Old Town Square anchored by Fred Meyer in Wilsonville, OR, Lacamas Crossing in Vancouver, WA adjacent to Costco Wholesale, and Progress Ridge TownSquare in Beaverton, OR featuring Cinetopia and New Seasons Market. Lake View Village and A Street Station are two Gramor developments that have helped revitalize downtown Lake Oswego, OR. In addition to running Gramor Development, Barry also owns and operates three restaurants. Barry opened the full-service Asian bistro, FiveSpice Seafood + Wine Bar in downtown Lake Oswego in 2005 and Café Murrayhill in Beaverton in 2006. In 2018, Pizzeria sul Lago, featuring gluten-free, vegan, and traditional Neapolitan style pies opened in downtown Lake Oswego. Prior to starting his career in real estate development and restaurant operations, Barry worked as purchasing manager for Ping Golf Clubs for eleven years in Phoenix, Arizona and sold residential real estate in the Seattle market for two years. He enjoys traveling, playing tennis and spending time with his two grown sons and four grandchildren. 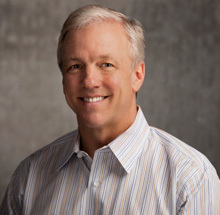 In 2010, Barry was awarded Commercial Real Estate’s CEO of the Year by the Portland Business Journal, and Gramor ranked in the top 10 of Commercial Real Estate and Development companies. Barry is a jazz music enthusiast and has served on the board of PDX Jazz that hosts the Portland Jazz Festival. We ensure success through our team. Each of our staff is hand-selected for the unique talents they possess.